Linear attenuation that maintains the same sound picture and thus gives the best sound quality when playing or listening to music. Sealing flanges that prevent water from getting into the ear canal when swimming, bathing or showering. Available in two sizes. Size Large fits medium and large ear canals. When should I throw away my earplugs? If you wash the earplugs with lukewarm water and soap after you have used them, Music/Swimming can be reused for approximately 150 hours. 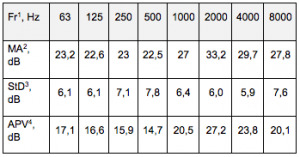 Check the surface on the earplugs to see when they are worn out. No, sometimes it’s in the way. That’s why you can easily pull it out from the earplug. You can also put it back again if you change your mind. The travel box that is included in the packaging is perfect for storing your earplugs when you’re not using them. Available in two sizes. Size Small fits smaller ear canals. Eargo is unique with its design and its different characteristics. The oval shape of the tip is ergonomic, making fit and comfort better than any other reusable earplug. The short shaft also makes the earplug very discreet and barely visible on the user. The attenuation is linear and reduced to only 22 dB, which makes Eargo suitable for almost all everyday situations; at the gym, at concerts, at work, when studying and in traffic are only a few examples. This is an earplug that will increase your life quality. Available in two sizes. Size Medium/Large fits medium to large ear canals. Available in two sizes. Size Small/Medium fits small to medium ear canals. Flying makes the plane ride more pleasant since it works pressure equalizing and inserted into the ear canal. 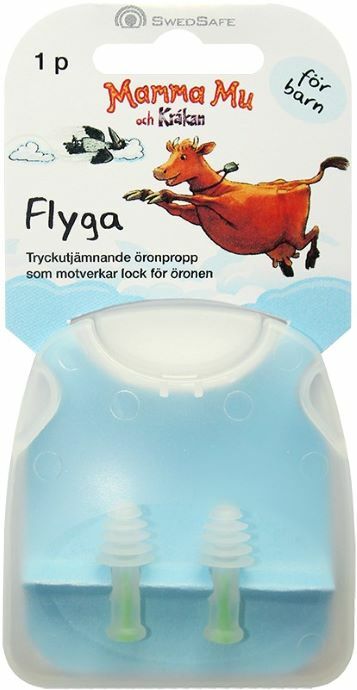 It prevents blocked ears and ear pain caused from the rapid air pressure change during takeoff and landing. 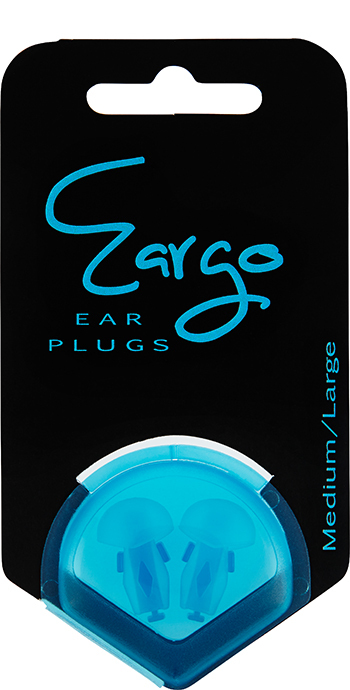 The earplug is easy to insert and remove, and two different sizes secure a safe seal. Available in two sizes. Size Large fits medium to large ear canals. Flying makes the plane ride more pleasant since it works pressure equalizing and inserted into the ear canal. 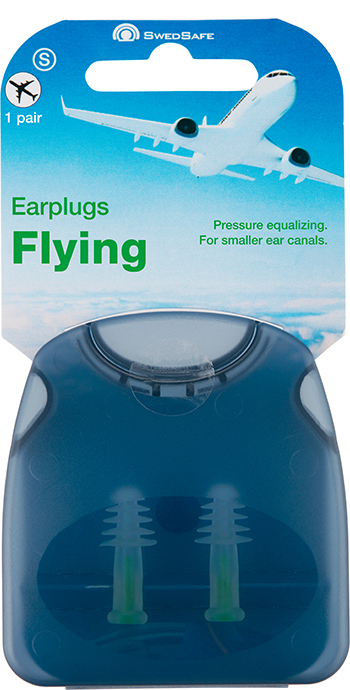 It prevents blocked ears and ear pain caused from the rapid air pressure change during takeoff and landing. 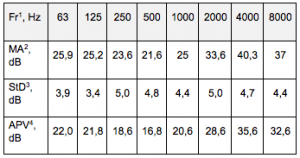 The earplug is easy to insert and remove, and two different sizes secure a safe fitting. Available in two sizes. Size Small fits small ear canals. 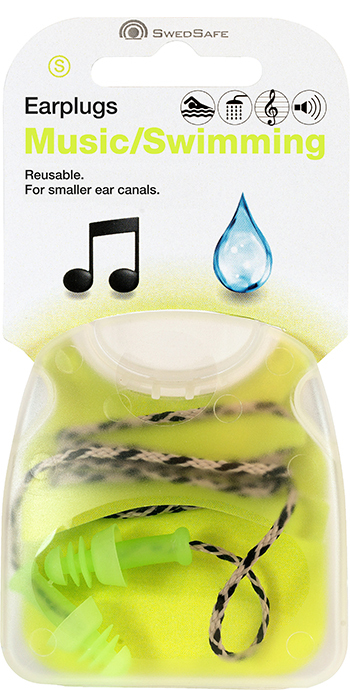 Silicone is an earplug that is especially suited for those with sensitive ear canals. De moldable silicone blocks unwanted sounds and seals enough to prevent water from entering the ear when swimming, bathing or showering. Thanks to its shape, function and material Silicone is designed to be placed as a sealing lid over the ear opening, and thus not into the ear canal. Silicone earplugs can’t be cleaned. Instead, they can be reused if they are still sticky and hygienic. The stickiness makes sure it can stick to the skin, and thereby seal from water and noise. To keep the earplugs hygienic, store them in the original packaging. 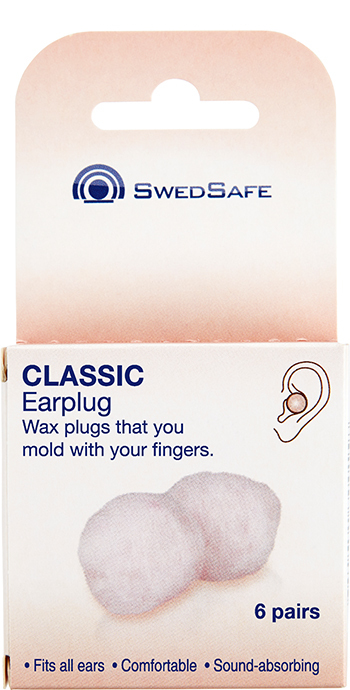 Classic wax is a moldable wax plug that is easily shaped after the ear. It is suited for sleep since it adapts to the skin temperature and therefore becomes very pleasant to use. The wax plug is also recommended for those with sensitive ear canals since it is placed as a lid over the ear opening, and not inside the ear canal. 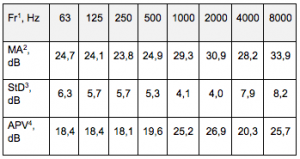 Classic wax has a medium attenuation. Thanks to its shape, function and material Classic wax is designed to be placed as a sealing lid over the ear opening, and thus not into the ear canal. Wax plugs can’t be cleaned. Instead, they can be reused if they are still sticky and hygienic. The stickiness makes sure it can stick to the skin. To keep them hygienic you can reuse the cotton which encloses them during transport, and store them in the original packaging. All the cotton that encloses the plug shall be removed before use. 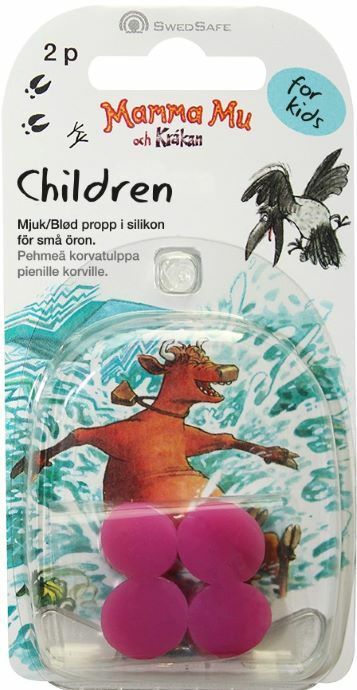 Children is a colorful earplug in moldable silicone, developed to suit children’s small and sensitive ear canals. The moldable silicone should be placed in the outer ear as a lid over the ear canal – not inside. 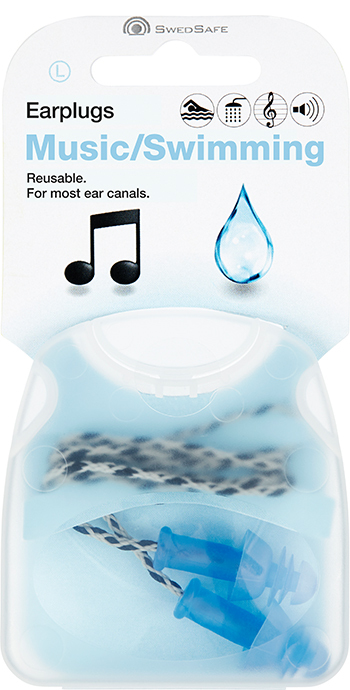 The earplug can be used to block high sound levels, and it seals enough to also prevent water from entering the ears when bathing or showering. The strong color makes it easy to oversee that the earplug is in place, and to find if dropped. Flying makes the plane ride more pleasant since it works pressure equalizing and inserted into the ear canal. 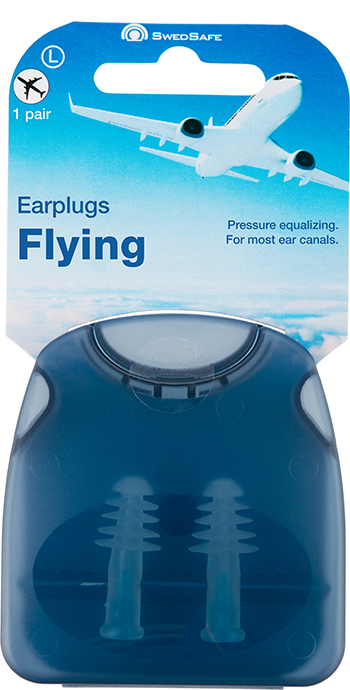 It prevents blocked ears and ear pain caused from the rapid air pressure change during takeoff and landing. The earplug is easy to insert and remove. 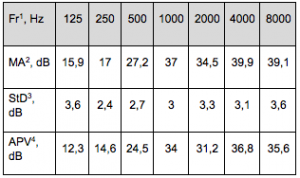 Kiddy is developed for children and has the highest attenuation (sound block) of all the children’s earmuffs on the market. Fireworks, concerts, class rooms – there are many situations where children need to protect their hearing either from dangerous sound levels or disturbing sounds. 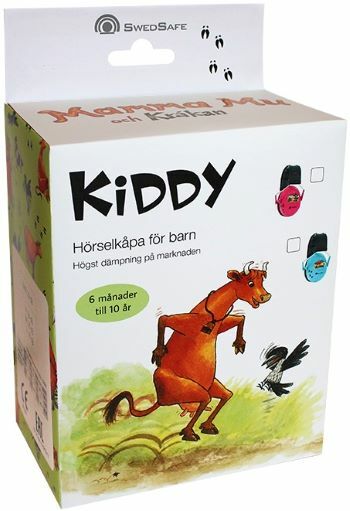 Kiddy is easy to use also on small children, and is comfortable with its soft cushions. 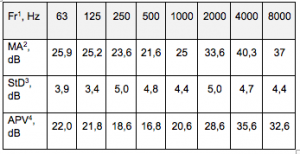 The earmuff is suited for children between 6 months and 10 years. Kiddy can be used approximately for 1000 hours. 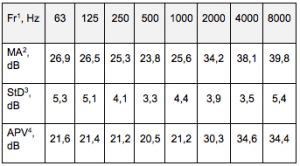 Most probably this means you only need one earmuff for each of your children, until they outgrow the size. To keep Kiddy clean, wipe the cushions with a damp cloth and let them dry. 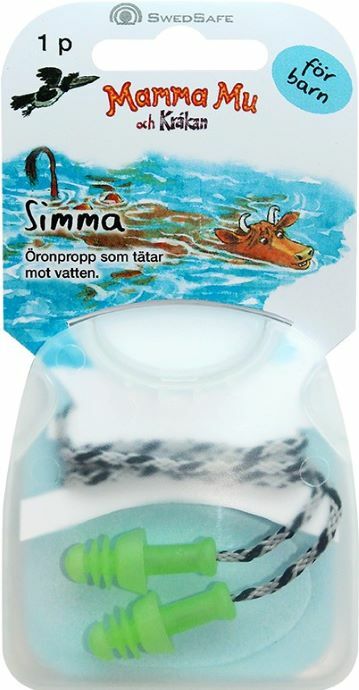 Our earplugs can be bought at multiple pharmacy chains and webshops in Sweden. Click on the logos below to reach our products. They are also available in UK and on Ireland. If you want them at your pharmacy, ask your pharmacy to bring them in to their range from the wholesalers listed below.